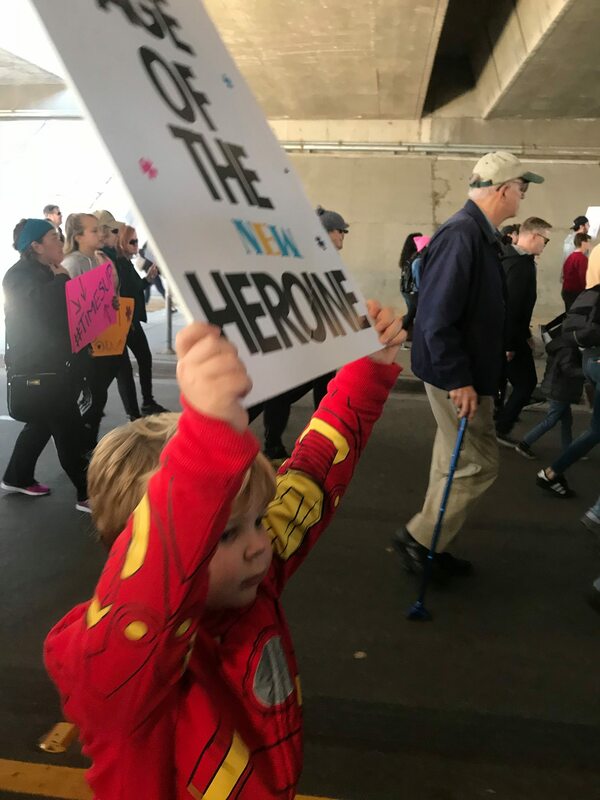 In the last few weeks, between MLK Day and the Women’s March, we’ve had a number of opportunities to focus our attention and raise our voices for equality and an inclusive democracy. In my family, we’ve been exploring what role we can play to create a democracy of our highest ideals even in the face of so many challenges to it. We’ve volunteered on MLK’s Day of Service and marched together at the Women’s March. We’ve been reading about powerful women who have shaped America, understanding the #metoo movement and discussing the powerful surge of women running for election. But, I know for me, it can be all too easy, once the holiday passes and march signs are put away to go back to life as usual. This letter to you is a way of recommitting myself, and inviting you to join in, to the causes that demand our attention and to continuing to engage with our children about these issues. One way that I’ve committed this year to activism is to have powerful conversations about Anti-Racism and the Movement for Black Lives on my podcast. And I invited others, through creating The Women Podcasters in Solidarity Initiative, to have similar conversations and share them with their communities. 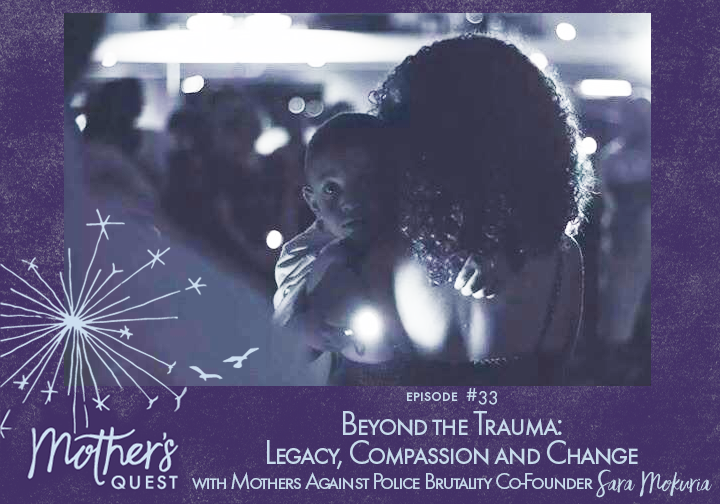 I also launched a fundraising campaign to support Mothers Against Police Brutality, whose co-founder Sara Mokuria came on the Mother’s Quest Podcast to share her powerful story of loss and how her grief has fueled groundbreaking work for reform. We’ve raised over $2500 dollars for their organization, but have another $1,000 plus to go before reaching our symbolic goal of $4,100. As I recommit to this work, I want to invite you to listen to the conversations I and other women podcasters have recorded on the subject of Anti-Racism, one cause that demands our attention. And to consider supporting Mothers Against Police Brutality, leading the way to solutions, with a monetary contribution. Beyond that, I encourage you to recommit to your own activism, wherever you are on the “activism spectrum.” I’d love to hear what calls to you and what you’re planning already, or would like to plan, to support the causes you believe in. Please hit reply, share and let me know if there is any way I can support you. 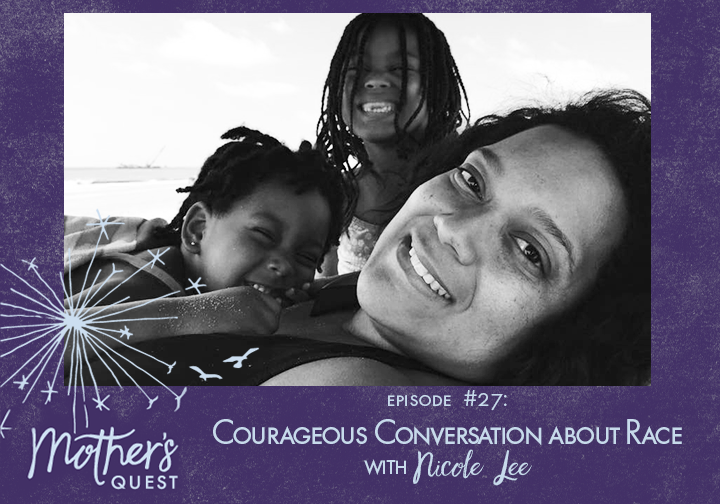 The first of three special episodes recorded for the Women Podcasters in Solidarity Initiative, this conversation with human rights attorney and inclusion specialist Nicole Lee helped me hold a growth mindset in having conversations about race, especially with my children. Kate is a fierce advocate for social justice who isn’t afraid to use her gift for communication to speak out against racism and to shine a light on white privilege. I hope this conversation will help us realize that fighting against racism is our responsibility, that we can step into brave spaces to do this work, and that the time to take steps, wherever you are on the activism spectrum, is now. 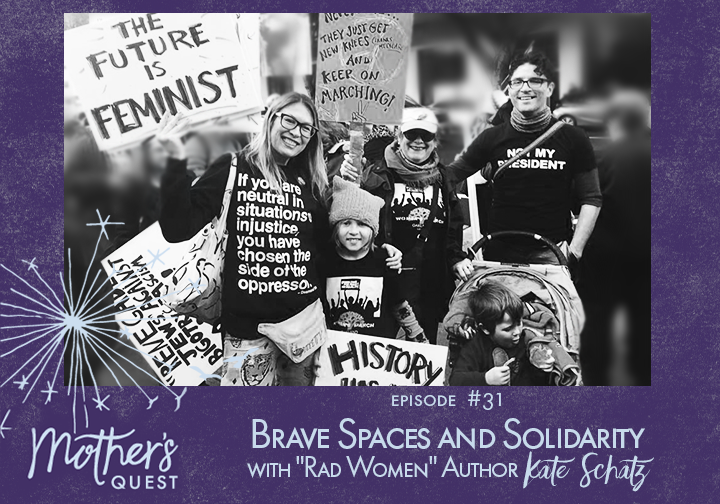 This third and final in a series I recorded as part of the Women Podcasters in Solidarity Initiative comes with a call to action to get involved with this issue today. Fueled by her own experience, Sara joined in creating Mother’s Against Police Brutality, as a multi-racial, multi-ethnic coalition uniting mothers nationwide to fight for civil rights, police accountability and policy reform. We ended our conversation with a co-created prayer, a wish for ourselves as much as for all of you listening, to move into greater responsibility for this work from wherever we are, to have the courage to go to those difficult and painful places so we can create a freer future, and to take this moment right now to support this cause. Please join us in making a donation and note that you are giving through the Mother’s Quest’s Fundraising Campaign. What is the Women Podcasters in Solidarity Initiative? 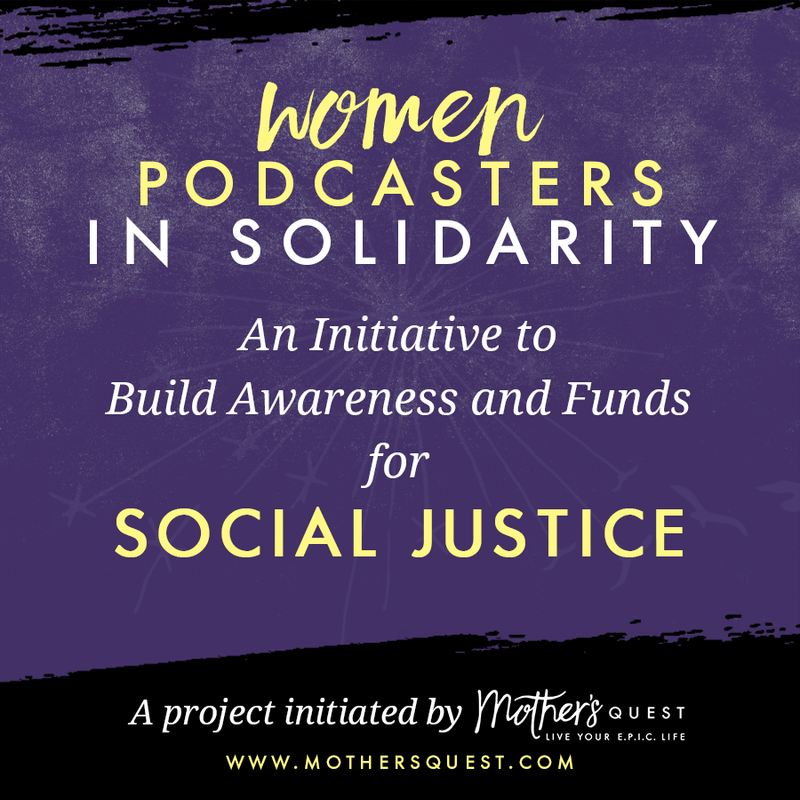 Women Podcasters in Solidarity is a collective of women podcasters who have made a pledge to build awareness and funds for social justice through their podcasting platforms. This is a twice-yearly, ongoing initiative with the first focus being on Anti-Racism and the Movement for Black Lives. Season 3 coming in February! 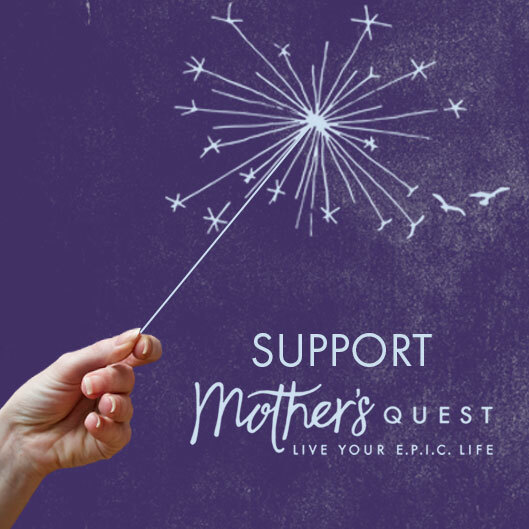 Mother’s Quest is a podcast for moms who are ready to live a truly E.P.I.C. life. Join in for intimate conversations with a diverse group of inspiring mothers as they share how they are living an E.P.I.C. 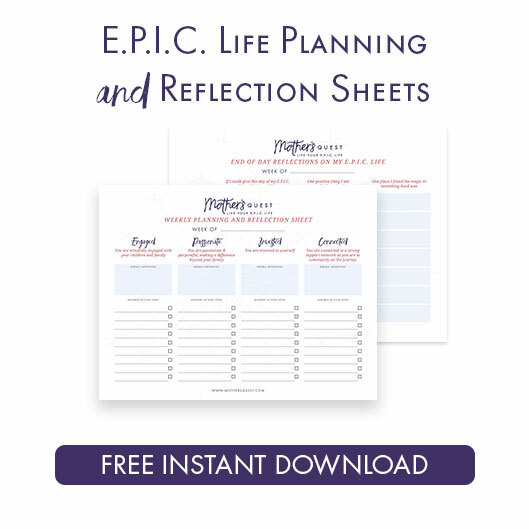 life, Engaging mindfully with their children (E), Passionately and Purposefully making a difference beyond their family (P), Investing in themselves (I), and Connecting to a strong support network (C). Mother’s Quest is part of the Amazon Services LLC Associates Program, an affiliate advertising program designed to provide Mother’s Quest a way to earn fees by linking to Amazon.com and affiliated sites. There is no additional cost for you to order using these links. 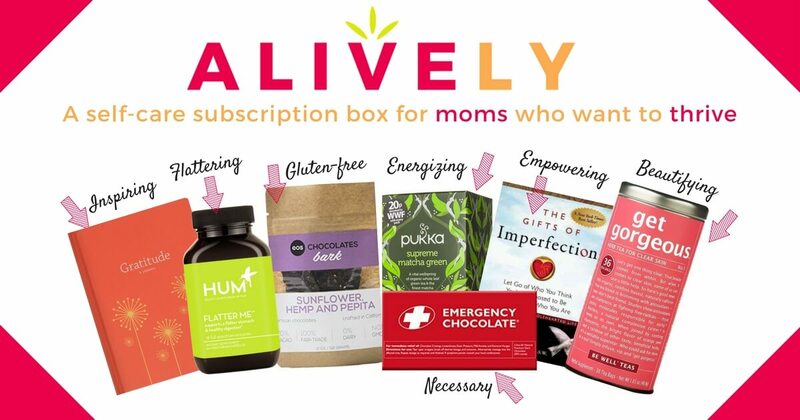 And, you have the added benefit of knowing you’re supporting Mother’s Quest with your purchase. Prices are exactly the same if you make an order through our affiliate link as going to Amazon directly.